← Ta-Da! A swim workout! While I love the flavors of the summer season (tomatoes, basil, fresh corn etc) sometimes it’s nice to get away from them. I boiled 1lb of pasta in salted water and added one bunch of chopped up broccoli in the last two minutes. Drained and set aside. I fried on low chicken breast (because it was leftover in my freezer) in a whole stick of butter, garlic, ginger, salt, and a bunch of very coarsely ground black pepper. I’ve found the mortar and pestle is the only way to go for this kind of quantity and the flavor is much more potent. I then added about 1t white miso paste (which so important for getting that rich umami flavor), poured in a completely unmeasured amount of soy sauce, and a bit of water. 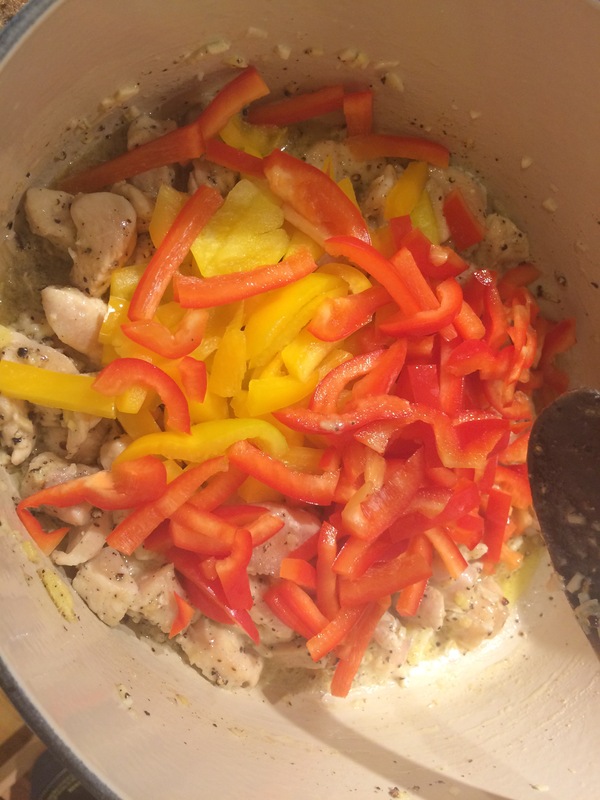 Then added two thinly sliced bell peppers. I tasted it and added some garlic and ginger powder just because I wanted to be even more potent. 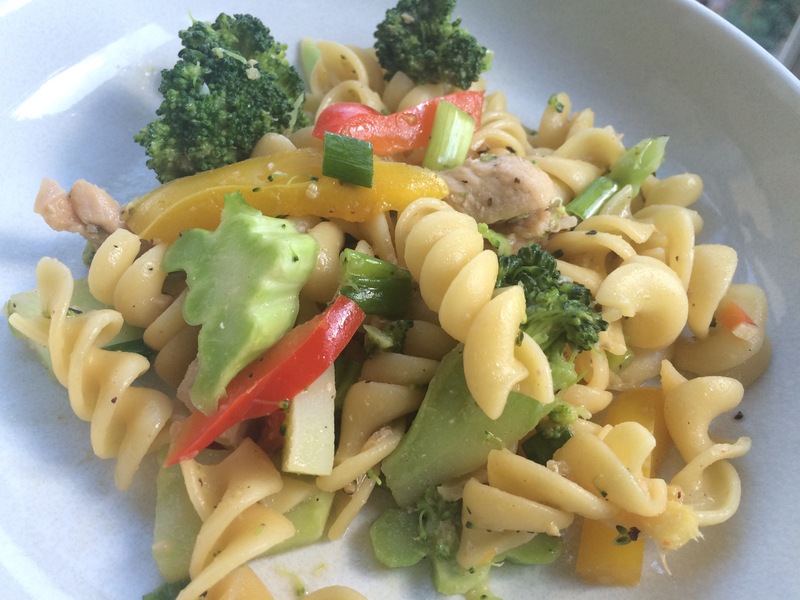 I mixed in the pasta and broccoli. Tasted it again and added a splash of white wine and rice vinegar just because I had both on hand and it felt it needed some acid to make it pop and feel fresher. 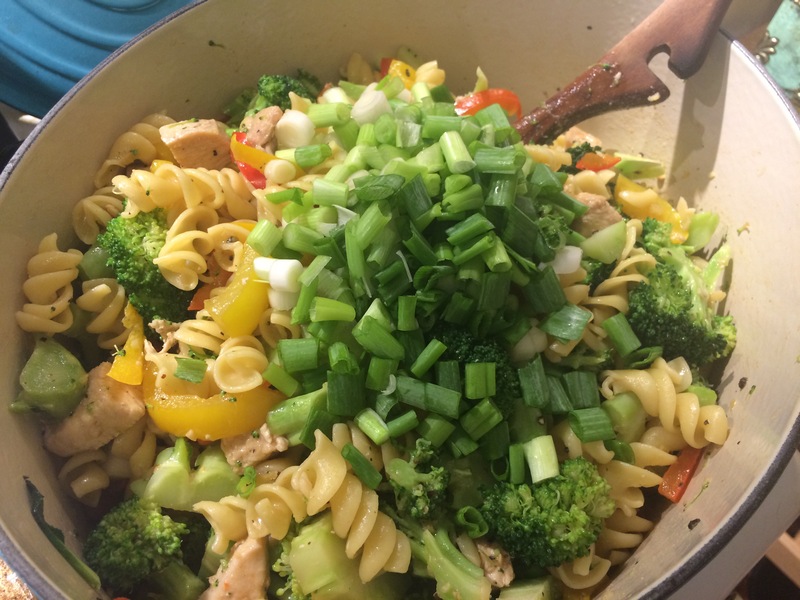 Tossed in an entire bunch of green onions (using the whole green onion). We ate it the whole painfully hot week. It was also nice warmed up when I was freezing at work in the AC. 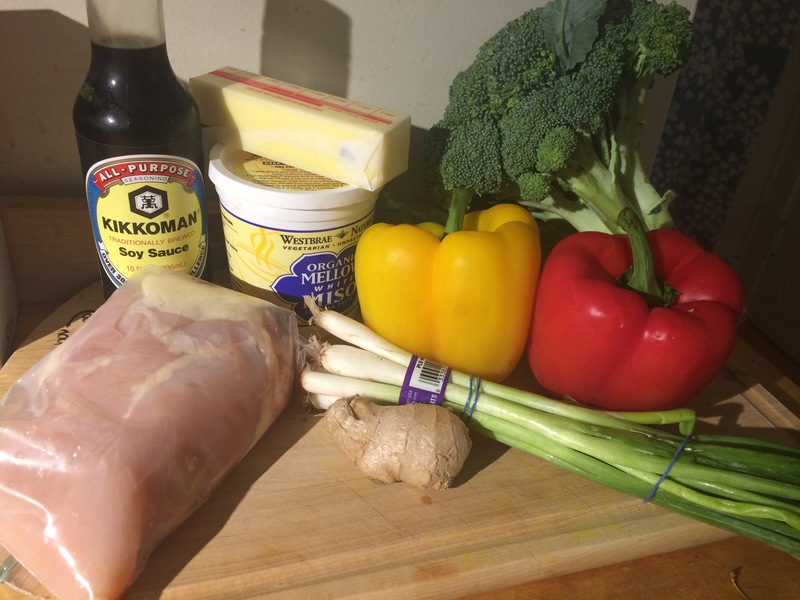 This entry was posted in Kym Cooked and tagged broccoli, Butter and Soy, chicken, healthy cooking, pasta, summer salads. Bookmark the permalink.